Just got a dog? Congratulations! A dog brings excitement and joy to every home. However, with the love and show of affection, you get with having a dog also comes a huge responsibility – in-depth training, and lots of it. Potty training dogs remain one of the hardest house training fields there is, and it’s not that hard to figure out why. There’s a lot to take note of when you are potty training your pup. From the behavior of your furry friend to just about everything else. It requires sacrifices and discipline if he is going to make any headway in this area. 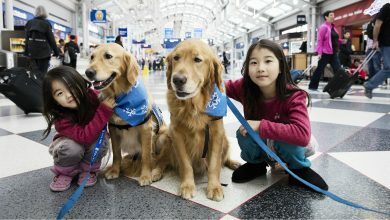 So in this piece, you will learn how to toilet train a dog, so you don’t have to clean your home every time your doggy has to go. Making a dog a member of your household is similar to what you do with everyone else. Help him feel comfortable in his new home. As always, first impressions count. Treat him how you would treat a child. He has to be responsible for his actions. Therefore, make sure you put your foot down and don’t compromise. This will go a long way when you start to potty train your dog. Since your dog isn’t trained to use the potty just yet, put a hold on his curiosity and section off those areas of your home where you don’t want your pup to make a mess. 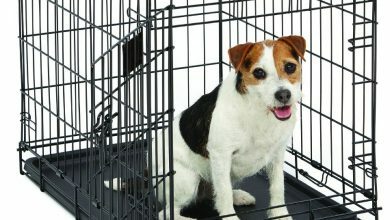 Use an indoor dog pen to do so and your house will be mess-safe until you teach your dog proper potty-culture. Because there are so many different dog breeds out there, it creates anatomical differences in every dog. Which will also decide how frequently your doggy will need to go to the bathroom. For instance, the Cairn Terrier has a much smaller waste retention capacity which translates to a much more frequent need to use the toilet compared to the larger Great Dane for example. And while your dog might not learn how to signal that he has to go on his own, he will still most likely give off some hints that will let you know that he really needs to go. So paying rapt attention to your dog can make potty training him easier on both you and your pup. 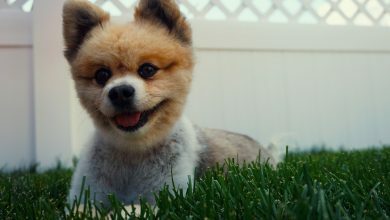 Potty training a dog could appear difficult, but as long as you watch your dog closely, you will start to see actions which characterize his need to use the toilet. Abrupt behavioral patterns, whining, and sniffing is some of the ways your dog is telling you ‘I urgently need to use the toilet’. And if you get the message, you will be able to avoid accidents. Especially at the beginning, many times your dog will fail at telling you he needs to go. Which will result in him peeing where you don’t want him to. This is expected. So rather than chastising him with words or worse yet hitting your pup or otherwise assaulting him physically, any time your dog makes a specific mistake, use the same expression and words on him. You want your pup to match his wrong potty choice with your reaction. With time, this should trigger a sense of guilt whenever he repeats the same action, and therefore the dog will learn not to do it. If your dog has just defecated in the wrong place, act quickly. Wipe the area clean with an enzyme-based cleaner. It’s important he sees you doing this. Once he observes the outcome of his actions, he is unlikely to use that same area to poop or urinate again. Also, the smell of the cleaner should further keep him from using that place for a potty spot. 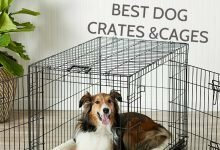 You want to make things easier for both you and your dog. Pick just one potty spot at first. It should be accessible quickly and conveniently. An outdoor location will do just fine. So any time you bring your pup to that spot he knows that it’s time to go to the bathroom. Your dog might not understand what you are saying, but you can still make him do what you want using words. To potty train him, chose a single word command and then help your pup connect this command with going to the toilet. To do that use only this specific command when you are within the vicinity of the previously chosen potty spot. This will help your dog learn where and when to do his business. Just know that initially, he will need some time to get acquainted with this idea. But with constant practice, all you will need to do is say the command and your pup will be ready to go. And remember not to use the command any other time as this will leave the dog perplexed and confused. For every time your dog uses the precise potty spot, let him know that you’re happy by complimenting him. 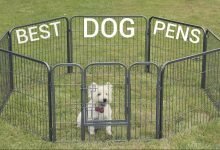 This will encourage your doggy to do the right thing time after time. Treats are also a good idea. As are smiles, hugs and belly rub. 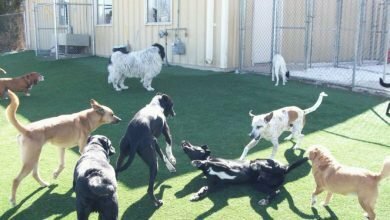 Repetition is the mother of knowledge, and this can be applied to the concept of potty training your dog as well. If you do the same thing over and over again, your dog will learn to match your behavior with his potty needs. Understanding the frequency of your dog’s desire to go to the bathroom will help you plan your routine. If your puppy has to go two times a day, you can plan two trips outdoors each day. Potty training your dog isn’t the easiest, but it also isn’t exactly difficult. You just have to be prepared to adjust your routine to your pup’s needs. On top of that, consistency takes the forefront of this type of training. So if you want to potty-train your dog correctly, be ready for it to take some time and compromises. 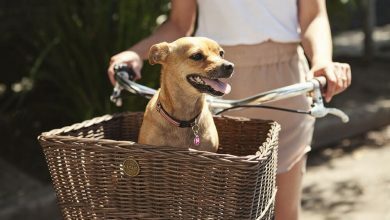 Bike Riding with Your Dog: Is it Possible?